I'm 17, female, and from The Netherlands. English is my second language, Dutch my first. I enjoy writing, drawing, designing graphics (*pets photoshop*) and reading! AR/rewrite of the anime/manga. Rated T for language and violence. 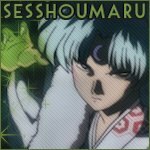 Sesshoumaru interferes when his brother attacks Kagome to get the jewel. They will have to work together if they want to prevent the jewel from falling into the hands of Naraku.